<a href="http://wildolive.blogspot.com/2011/11/story-of-making-your-story-book.html”>this DIY for making a story book, brought back memories of a pen-pal book my primary school best friend and I wrote with each other. Each letter was in an envelope which was then bound together to make a book. If I recall correctly we had both read Anne of Green Gables, and so naturally it had a tragic ending, like so many writers club stories had. this tutorial also posted at the hairpin has got me really excited for sewing again. I have a car back and the first place I’m going is my local fabric store. This really cute thread holder cosy from Scathingly Brilliant. Although first I need someone handy in my life (wouldn’t it be useful if I lived with someone who enjoyed carpentry – oh wait! I do!) who could build me a thread holder. 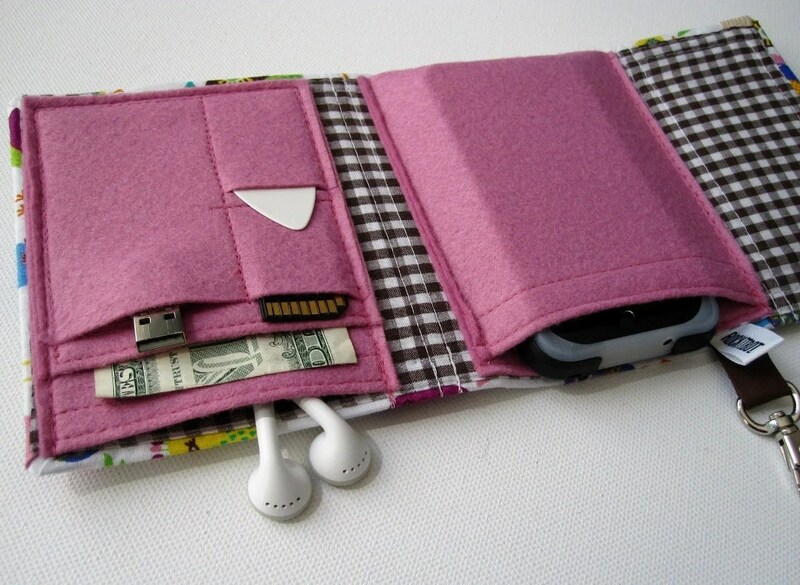 And finally from etsy this gadget wallet. I’m pretty sure I can reverse engineer it and make it myself, but I need this in my life. Mollie Makes magazine has an awesome tutorial on making a wallet. Maybe it could be adapted.